A Russian businessman helping Swiss prosecutors uncover a powerful Russian fraud syndicate has died in mysterious circumstances outside his mansion in Britain. Alexander Perepilichnyy had collapsed on a road early on the evening of 10 November, in the county of Surrey, southern England, in a chilling twist to a Russian mafia scandal that has strained Moscow’s ties with the West. Perepilichnyy, 44, sought refuge in Britain three years ago and had been helping a Swiss investigation into a Russian money-laundering scheme by providing evidence against corrupt officials, his colleagues and media reports said. Reports have connected Perepilichnyy to a scandal involving Sergei Magnitsky, a lawyer for London-based Hermitage Capital Management, who died in a Moscow prison three years ago after allegedly uncovering a web of corruption involving Russian tax officials. Magnitsky had uncovered the alleged theft by Russian tax officials of more than $200m. Perepilichnyy is the fourth person linked to the Magnitsky case to have died under strange circumstances. British media reports said Perepilichnyy appeared to be in good health when he collapsed in the evening outside St George’s Hill, one of Britain’s most exclusive estates, where he was renting a house for $20,000 a month. William Browder, a former employer of Magnitsky and a prominent London-based investor, said Perepilichnyy had come forward in 2010 with evidence involving the Magnitsky case that subsequently helped Swiss prosecutors open their investigation. Magnitsky was jailed in 2008 on suspicion of tax evasion and fraud, charges that colleagues said were fabricated by police investigators he had accused of stealing from the state through fraudulent tax refunds. 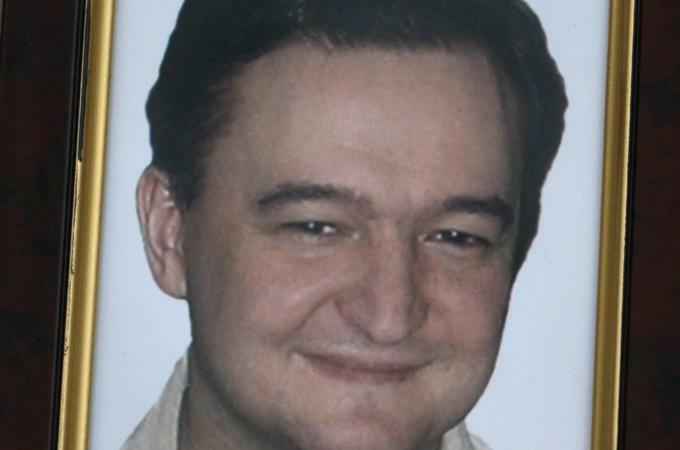 The Kremlin’s own human rights council has said Magnitsky was probably beaten to death. In January 2011, Hermitage Capital Management filed an application to the Swiss authorities seeking an investigation. It was announced in March that the Swiss prosecutor’s office opened an investigation and froze the assets in a number of accounts. Leaked secret diplomatic cables from the US embassy in Moscow once described Russia as a “virtual mafia state”, and London has long been the chosen destination for Russians seeking refuge from trouble at home.